Chile’s minister of foreign relations, Heraldo Muñoz, and his Uruguayan counterpart, Rodolfo Nin Novoa, signed a free trade agreement (FTA) (link in Spanish), to strengthen trade between the two countries. After four rounds of negotiations, which began in February 2016, and legal reviews of the texts, the two countries reached a full consensus on October 4 in Montevideo. “We are making history. We are two countries from the Global South that are deepening integration not just with words but with deeds,” said Minister Muñoz after signing the agreement. The trade agreement (link in Spanish) brings together aspects that had already been negotiated as part of the Economic Complementarity Agreement between Chile and the MERCOSUR (ECA 35), which has been in force since October 1, 1996. It also includes new issues such as e-commerce, the environment, labor regulations, gender, small and medium-sized enterprises (SMEs), cooperation, transparency, sanitary and phytosanitary measures, intellectual property, and trade in services. The authorities in question described the agreement as a “next-generation FTA” because it includes a special chapter on the role of women in international trade. The parties thus confirmed their commitment to effectively implementing legislation, policies, and best practices in relation to gender equality and equality in general. “We think it is one of the most innovative chapters in any agreement on free trade that has been signed at the global level, because it seeks to emphasize the role of women in the creation of economic growth, trade, and investment,” said Mr. Muñoz. The delegations committed to achieving high standards and adopting modern techniques for managing e-commerce, such as norms related to tracking computer equipment and provisions that seek to maintain a transparent flow of information. 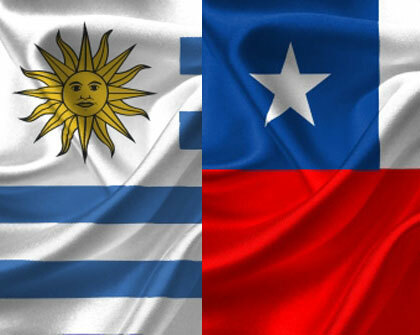 Trade between Chile and Uruguay during 2015 totaled US$348 million: Chilean exports to Uruguay were worth US$148 million, while its imports added up to US$199 million.